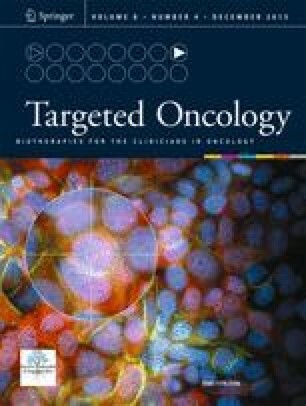 Intraperitoneally administrated epithelial cellular adhesion molecule (EpCAM) monoclonal antibody is a therapeutic agent in patients with malignant effusion in several types of carcinoma. However, the role of EpCAM in peritoneal metastasis (PM) lesions and primary lesions of gastric cancer (GC) is still unclear. Therefore, in this study, we investigated EpCAM expression in GC patients with PM. We investigated the expression of EpCAM in 35PM lesions and 104 biopsy samples as primary lesions. Immunohistochemical staining was performed using the Ventana Benchmark XT (Roche Diagnostics) system. EpCAM expression was evaluated by calculating the total immunostaining score, which is the product of the proportion score and the intensity score. Overexpression was defined as a total score greater than 4. All PM specimens showed overexpression of EpCAM, and GC cells in both the surface layer and the deep layer of the PM showed a high expression of EpCAM. Meanwhile, in the biopsy sample, the expression of EpCAM ranged from none to strong. The EpCAM score results for PM specimens and biopsy samples were 11.0 ± 2.0 and 6.9 ± 3.9, respectively. The difference between the scores was statistically significant (P < 0.05). The intraperitoneally administrated EpCAM antibody might have a anti-cancer effect in PM lesions of GC. Additionally, it can be assumed that only GC cells which express a high level of EpCAM might metastasize to the peritoneum. The authors express their appreciation to Dr. Harumasa Ohyanagi, vice board director of the University of KinDAI Himeji for his expert comments on the manuscript. We also wish to thank Mr. Tadao Uesugi and Miss Fusako Kamada for technical assistance.